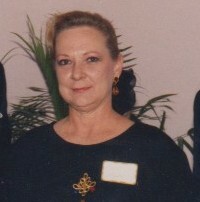 Mrs. Carol Smith Harper, 76, of LaGrange passed away Saturday morning at Wellstar West Georgia Hospice. Mrs. Harper was born Linda Carol Smith, November 13, 1942 in LaGrange the daughter of the late Roy W. and Annie Merle Phillips Smith. Carol excelled in computer science and used those skills while working for the City of LaGrange and as a planner for Wheelabrator. She held numerous certifications but was especially proud of her certification of CPIM (production and inventory management) Mrs. Harper was preceded in death by her husband, Lamar M. Harper of which they celebrated 46 years of marriage together. Funeral Services for Mrs. Carol Harper will be held at 2:00 P.M. Monday from the Hunter-Allen-Myhand Chapel with the Reverend Buddy James officiating. Interment will follow in the family plot in Shadowlawn Cemetery. The family will receive friends at the funeral home (Sunday) afternoon from 4:00 P.M. until 6:00 P.M. The family will be at her home 261 East Lakeview Drive, LaGrange. Funeral services for Mrs. Carol Smith Harper are by Hunter-Allen-Myhand Funeral Home.